Previewed at: Universal Theatrette, Munn Street, Millers Point, on 18 October 2017. It can be difficult at the best of times, even with the best of people, to translate a successful who-dunnit novel to the big screen and this seems to be particularly true of the current breed of Scandinavian noir-thrillers. Granted, the books of Stieg Larrson worked reasonably well in their Hollywood versions but, generally, this type of material is better if its written expressly for the small screen; look at The Killing and The Bridge, for example. A five or six hundred page book can just be too dense to reduce to a two-hour film, so much of the detail gets excised or glossed over, and the movie suffers as a result. Be that as it may, it’s no surprise to see English-language producers turning their attention to best-selling Norwegian crime writer Jo Nesbø. 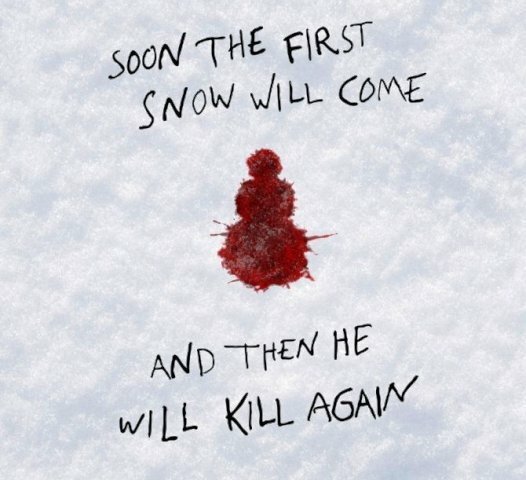 This brings us to The Snowman, which was originally going to be directed by Martin Scorsese but was handed to the Swedish director of Let The Right One In and Tinker Tailor Soldier Spy, Tomas Alfredson. Scorsese’s go-to editor Thelma Schoonmaker remained with the project however, and ‘Marty’ acted as EP. Bring in writers Hossein Amini (Our Kind Of Traitor), Peter Straughan (Tinker Tailor Soldier Spy) and Søren Sveistrup (The Killing) and, well, with credentials like those, what could possibly go wrong? Quite a lot, it seems. Hard-boiled police detective Harry Hole (Michael Fassbender) doesn’t handle it well when he hasn’t got a case to solve so he goes on benders. When we’re introduced to him he’s well into one, having been AWOL for a week from his office in Oslo and sleeping rough. Only when a female detective, Katrine (Rebecca Ferguson), is transferred from Bergen bringing information about a missing woman does he get ‘on the wagon.’ When another woman goes missing in Oslo soon after, Hole’s instincts turn to the hunt and before long he realises that he’s on the trail of a serial killer and he or she is leaving a calling-card at each crime scene – a snowman with a line of coffee beans for a mouth. Technical credits are all fine, especially Aussie cinematographer Dion Beebe’s crisp and suitably cold lensing and Marco Beltrami’s moody score and there’s a terrific cast of well-known, very capable actors, although they’re under-used, being relegated to minor roles. These include an almost unrecognisable Val Kilmer, J. K. Simmons as an influential powerbroker, Toby Jones as a popular but hopeless cop, Adrian Dunbar playing a failed businessman and Chloë Sevigny as twin sisters. The leads are good too, if not exactly thrilling. Fassbender and Gainsbourg are always watchable and Ferguson, while not flashy, is suitably enigmatic as the quiet cop with her own agenda. No, it’s the plot that brings The Snowman undone. The writers have decided to stray from the book in quite a major way with one of the key characters and you have to wonder why. There are numerous red herrings but none are too difficult to spot and some of the story’s tributaries just dry up; even the identity of the killer comes as no real surprise and the raison d’être for the crimes is pretty weak, too. It’s a shame - all the elements were there for a multi-layered Nordic noir but they just didn’t fit into this small package. Six one-hour eps might’ve done the trick though.